This 2 bedroom villa with swimming pool is located in Roseto degli Abruzzi and sleeps 5 people. It has WiFi, air conditioning and barbeque facilities. The villa is near a beach. Semi-detached house, 4 - 5 people, 3 room/s, 2 bedroom/s, 2 bathroom/s, approximately 65 m², 2 floor/s, restored 2018, separate access to the property. Equipment: satellite TV; internet access Wi-Fi (included); air conditioning (only in the bedrooms). Estate (shared use with holiday guests): approximately 5000 m² (whole estate 5 ha) , open plot, in a hillside, terraced, natural surroundings, meadow, gravel, fields, fruit trees, olive trees. Outdoor facilities(shared use): reserved open space (pavilion), reserved open space (pavilion), furnishing provided, brick barbecue. Pool (shared use): 10.0 x 5.0 m, 1.30 m deep, 04/05/19-05/10/19, frame swimming pool. The agent describes this villa as an ideal holiday rental for the summer holidays. It is also good value for money. 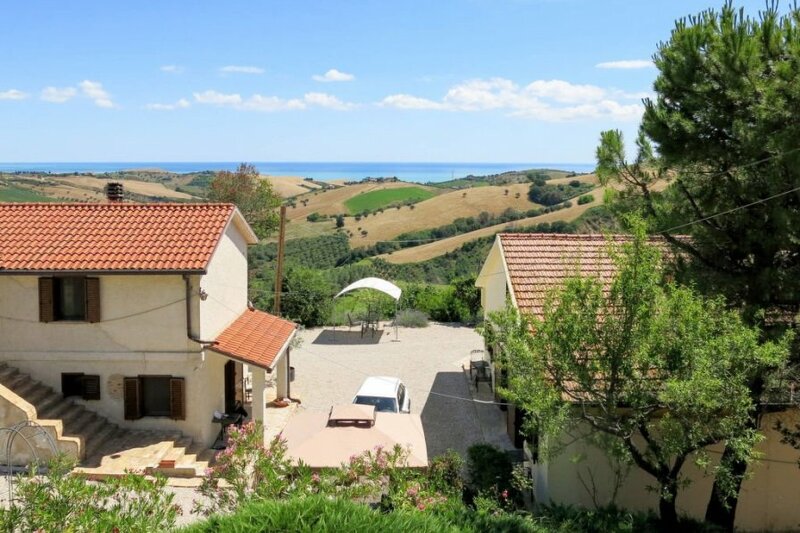 The villa has a swimming pool and is located in Roseto degli Abruzzi. The nearest airport is only 42km away. It is set in a convenient location, just 0 metres away from a beach and 8km away from the city center.